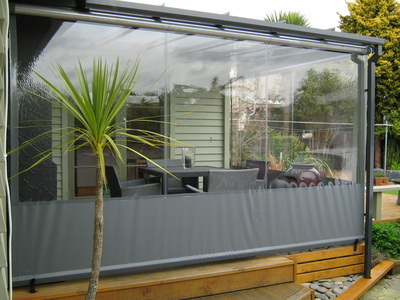 Clear PVC is used for the blind skin and ideal for all year weather protection while still letting airflow. 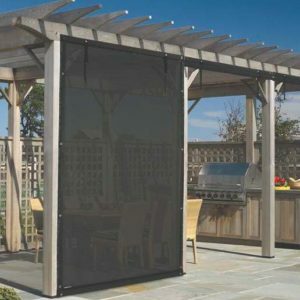 Easy to install, Elite Channel System’s are the top blind system available. These blinds run in a heavy duty power coated side tracks which give the best overall finish and span up to 6m wide. The aluminium components of the blinds are available in silver as standard or Custom Powder Coating options and you will need to submit your Resene colour code at check out.